One thing we really love to see is people taking Liesl’s patterns and making something amazing! 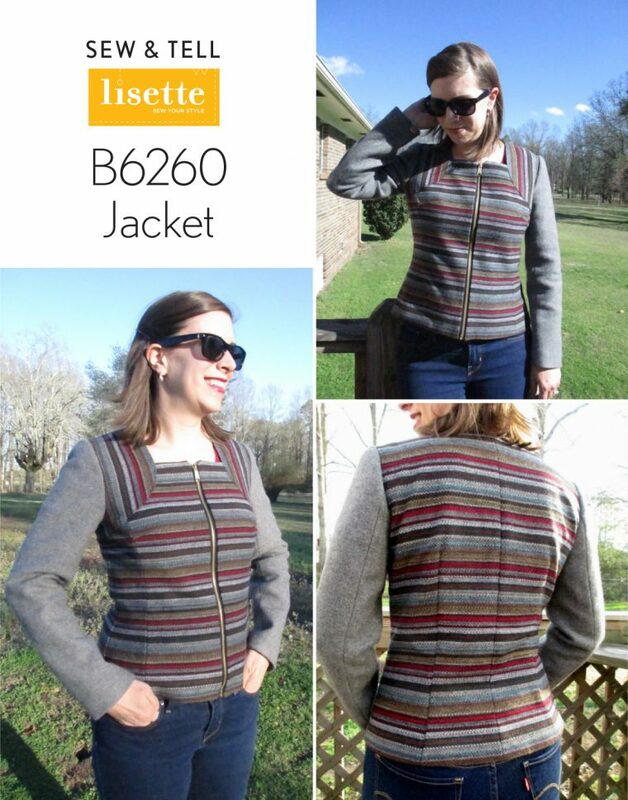 This is what Elizabeth did with the Lisette B6260 jacket pattern. She’s here to tell us all about it. Fabric used: Wool/Nylon Suiting for the body of the jacket and 100% Wool flannel for the sleeves, both from Fabric Mart Fabrics. Bemberg Rayon for the lining. Did the fabric work well? The fabric worked wonderfully. Wool suiting and flannel were a great medium to lighter wool to suit this jacket. I can’t say that I enjoy working with Bemberg Rayon but it yields a beautiful and luxurious lining. How did the sewing go? The sewing for this project was a great learning experience since there was just enough opportunity to experiment with tailoring techniques without all the hassle of a completely tailored project. I used the book Jackets for Real People by Palmer Pletsch as a guide and ended up using fusible tricot throughout the jacket for structure as well as some other tailoring techniques including a shoulder stay and sleeve head supports. 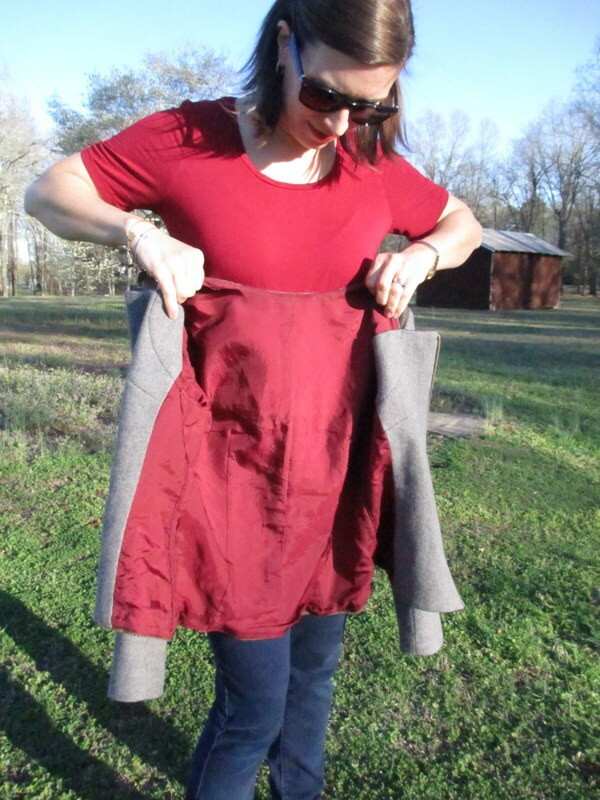 This jacket was more fitted than I expected and the back seam and princess seams were really helpful in getting a good fit. I had a great time planning this project. 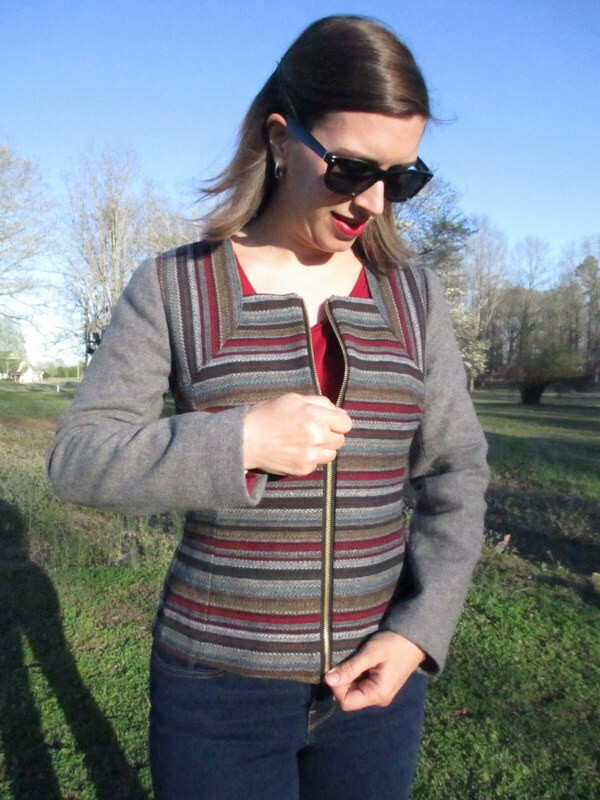 I was able to experiment with stripe placement as this jacket has those awesome shoulder yokes to play with. Wouldn’t they look amazing with piping?!? I also couldn’t resist mixing fabrics. 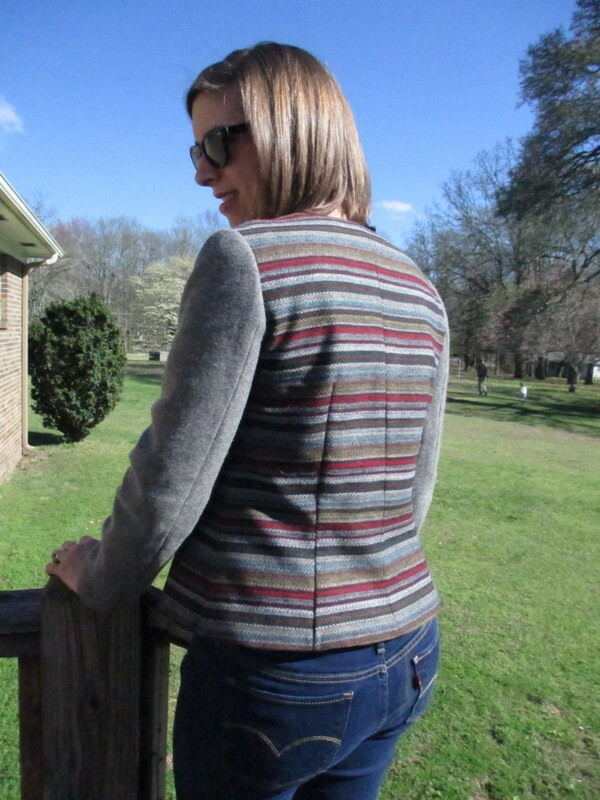 Originally I planned on making the entire jacket in stripes, but when I did a mock sketch of the jacket with the gray wool sleeves, I just had to see that idea become a reality. If you liked this post, be sure to visit Liesl’s introduction to the Lisette B6260 pattern. Love this Elizabeth, such a great project and the solid grey sleeves was a stroke of brilliance! Thank you for posting my jacket. It was a fun project and I receive lots of compliments whenever I wear it!